Keren stars as Marine Jane in the 4th season of CBS' Madame Secretary. 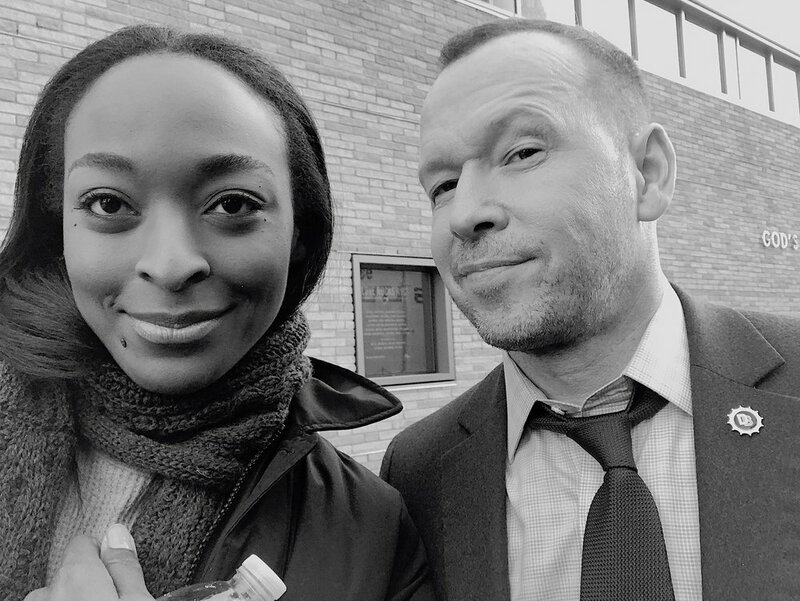 Keren, Donny Wahlberg, and the Prosthetic mole on set of CBS' Blue Bloods in which Keren guest stars as Cherise Paxton. Keren was featured in the film Brawl In Cellblock 99 opposite Vince Vaughn directed by S. Craig Zahler which has been accepted into the VENICE Film Festival and VANCOUVER INTERNATIONAL Film Festival. The Broadway cast of The Curious Incident of the Dog in the Night-Time took their final bow on Sept 4, 2016. Keren recently stars in an episode of Lifetime Movie Network's I Love You But I Lied. Here are a few clips from the episode! Recently interviewed by Alina Suriel of THE HARRISON REVIEW. ["Keren Dukes and Micah Stock join the ranks of fellow Purchase alumni like Edie Falco, Parker Posey and Stanly Tucci to become working actors on Broadway. The duo has also left their collective mark on the Purchase student body. Recently guest starred in season premiere of NURSE JACKIE Season 6 opposite fellow Purchase alumn Edie Falco directed by Jesse Peretz.